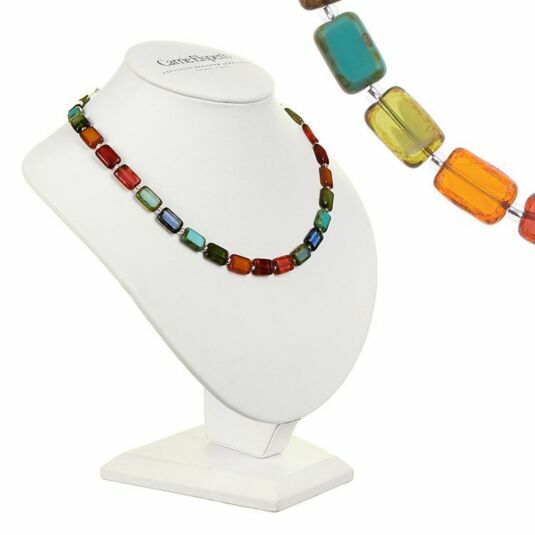 The wonderful semi-transparent beads used in this necklace from Carrie Elspeth are made from Czech glass in gorgeous colours - worthy of the famous painter’s palette! 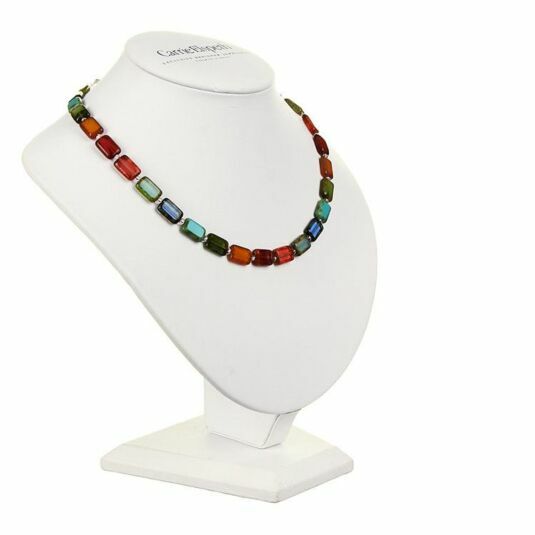 The rectangular beads have softly rounded edges and graduate through every colour of the rainbow, each bead separated by a transparent spacer bead. The glorious beads work with any outfit, be it a party dress, holiday clothes or to brighten up an everyday outfit. Combine with matching items to create a sophisticated look!